We’re pleased to offer you, in consult with developer Dietmar and his approval, to offer you his hard surface library. 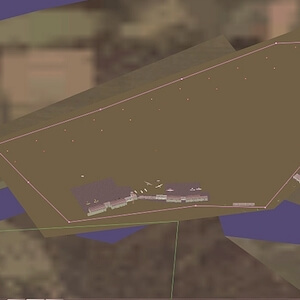 According to Dietmar “This ia scenery library to harden airport surface. This polygon will harden your airport ground and surface. The installation is quite simple and straight forward; unzip ZZ_DF-Hard_Surface.zip and copy ZZ_DF-Hard_Surface to folder ..\Custom Scenery. This is a library with one polygon. With Overlay Editor you can insert this invisible polygon to your scenery. Dietmar continues …. You only will see the edges of the polygon, cause the texture is full transparent. You may insert as many points to the poly as you will. f you click outside the poly-edges, you see nothing of the polygon (fully transparency), but if you click inside the harden-poly, you see the magenta lines again. I’ve not heard that an freeware airport developer has used this library, but perhaps it’s worth it. We’re at least pleased to offer you this library too. Enjoy!